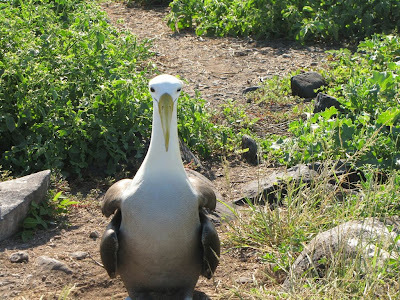 Located on the northern shores of Santa Cruz Island, Black Turtle Cove is a very special place; the atmosphere is quiet, contemplative and visual. 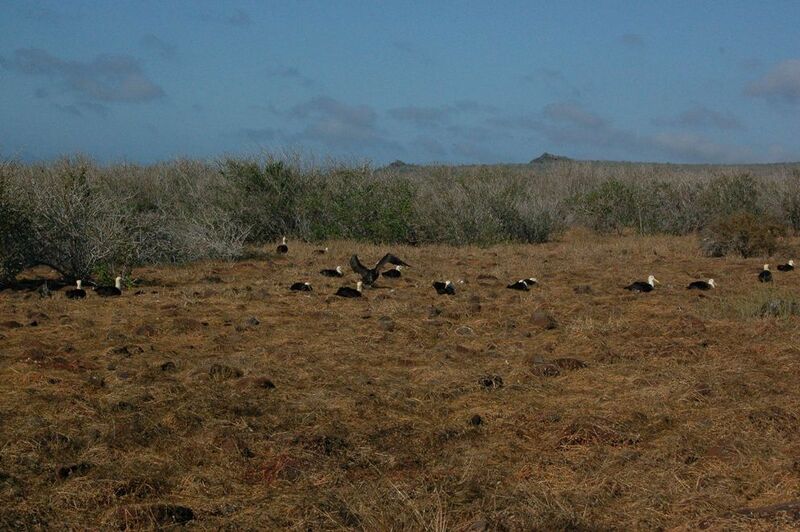 Galapagos National Park rules require that upon your arrival at Black Turtle Cove via panga, the motor be turned off. Silence and stillness permeate. That is until you start to hear the sounds of nature all around you. 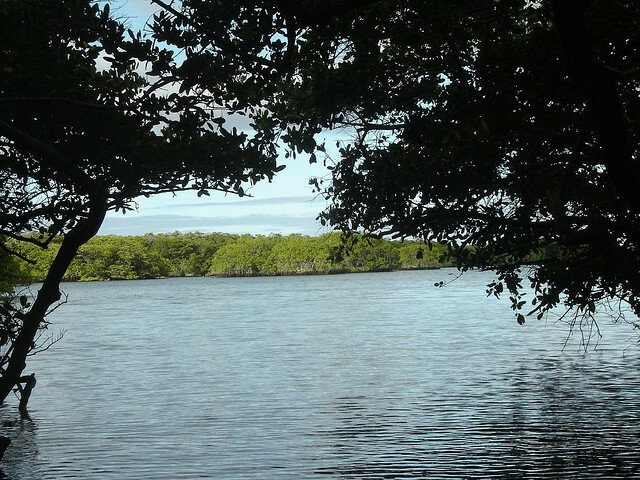 Listen to the birds, hear the water and waves, listen for the sounds of fish jumping in the still waters, look around and smell the greenness of the mangrove trees that surround this beautiful area. In the panga you will navigate into the cove and then through the mangrove forest, sometimes paddling so as not to disturb the wildlife. The approach to the wildlife in silence assures that the nesting green sea turtles, sharks, herons and rays are allowed to remain peaceful and undisturbed in their natural habitat. The mangroves themselves are beautiful, dense and diverse. Some are old; some new. 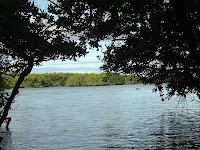 They are not all alike; in fact, there are three mangrove species at Black Turtle Cove. Their root systems merge directly into the shallow blue saltwater of this cove. Their colors vary and the leaves sparkle where they are hit by the tropical sun.